If you choose Jim’s Bobcat & Towing Service for your excavation needs, you can be sure of quality. 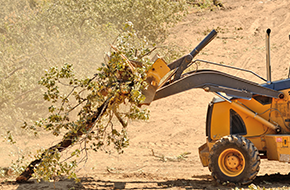 With a certified arborist at Jim’s Bobcat & Towing Service, you can trust us for your tree removal needs. Choosing Jim’s Bobcat & Towing Service for your vehicle transport needs will provide peace of mind. Jim’s Bobcat & Towing Service is a local company based in Pinehurst, Idaho. We are proud to be known for the quality of our work, outstanding customer service, reliability, and honesty. 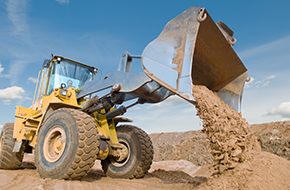 We offer contract excavation and grading services to both commercial and residential customers. Our operators and employees have 35 years of experience in landscaping, vegetation reclamation, demolition and haul away, laying sod, installing driveways, sidewalks, fence lines, pipelines, and retaining walls. We also have experience with utility trenching, land clearing, and foundation excavation. We are familiar with the specific needs of excavation and dirt work in northern Idaho due to the climate, weather, freeze-thaw cycles, soil types, and the water table. In addition to the excavation service, we do logging and remove tree stumps. We have on staff a certified arborist so customers can be sure that they receive professional assistance. Jim’s Bobcat & Towing Service also provides 24-hour towing, wrecker services, and vehicle transport, both locally and long distance. 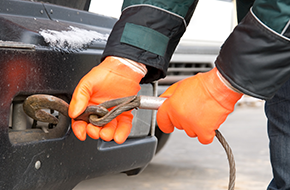 We are an AAA certified towing company and are able to tow all sizes of vehicles, from semi-tractors and trailers to passenger cars. If you lock you keys in your vehicle, give us a call. We offer 24-hour lockout service and are happy to assist you. We are proud of the exceptional quality of our services and our commitment to customer satisfaction. Customers of both the Bobcat services and the towing services are often repeat customers, which indicates the quality of our work and customer service. Our knowledge and experience makes us experts in the services we offer. While we are based in Pinehurst, ID, we are happy to travel to the outlying areas of northern Idaho to serve customers’ needs. To learn more about services or receive an estimate, get in touch with us today. We look forward to being of service!